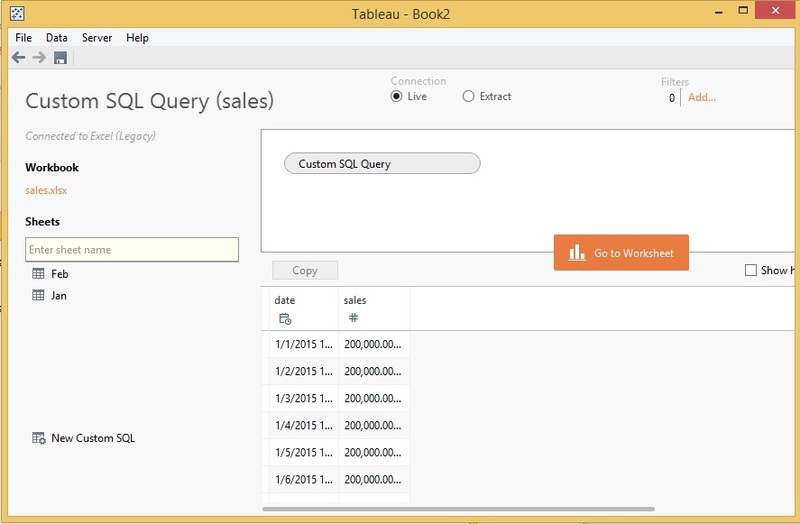 Tableau does not have a join functionality that works like a SQL Union. If you have the data spread out in multiple excel sheets and you want to see a concatenated view then you are out of luck as far as default joins are concerned. In Tableau choose “Microsoft Execl” in connection. 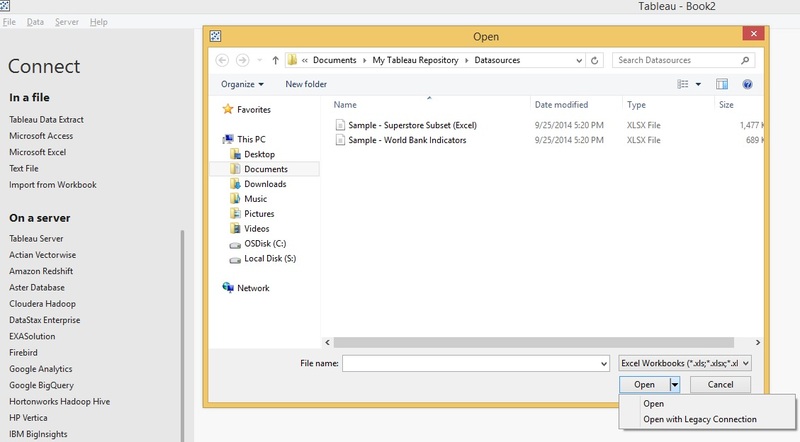 In the next window (the pop up to select the file), choose “Open With Legacy Connection” (it is under “Open” dropdown – see the image). 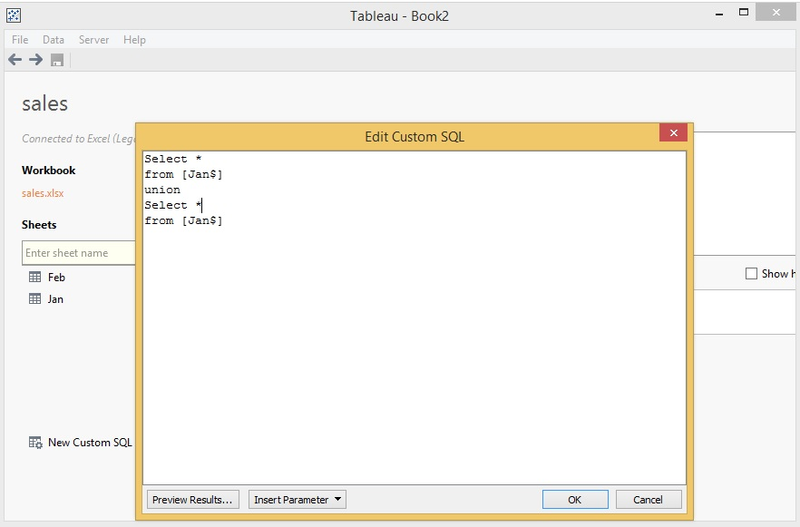 Click on the “New Customer SQL”, you will get an empty popup window. 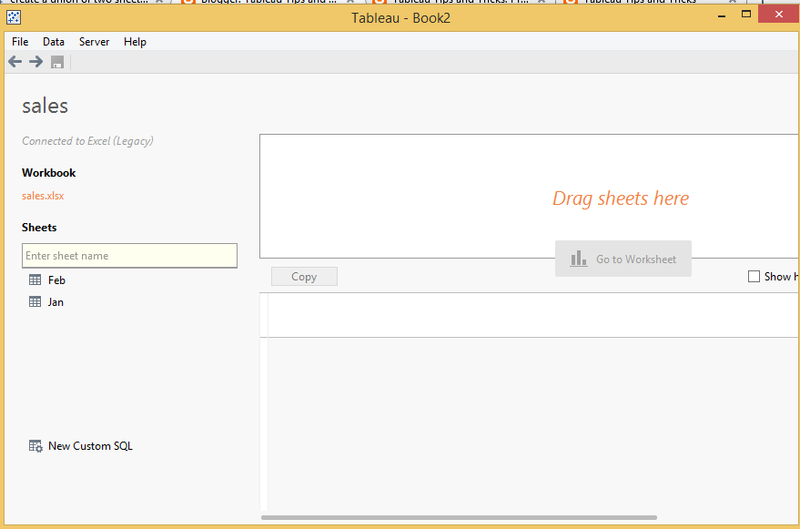 In this window type a SQL shown below, replace [Jan$] and [Feb$] with the names of your sheets. Make sure to add $ to then end of the sheet name. Make sure both the sheets have same number of column else it won’t work.